I was nominated for the award by Beth over at Fashion Etc. AND Kerry over at Dosage of Beauty and Fashion who just missed out by a day! But thanks so much for the nominations! 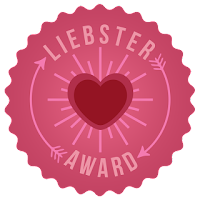 The Liebster Award is a blogger award exclusively for those with less than 200 followers. It's literal translation from German to English (according to Google) is sweetheart, daring or beloved (n'aww, shucks guys!). 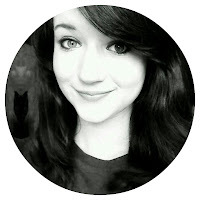 I noticed that Kerry's tag is a little different and asks me to post eleven things about myself but, as I already did an Eight Things About Me post a couple of days ago (and I'm really not that interesting) I wouldn't want to bore you guys! 1. Answer the 10 questions you've been asked from the person who nominated you. 2. Think of 10 questions of your own to ask some other bloggers. 3. Choose 10 other bloggers to nominate and send them a comment or message letting them know you've nominated them (remember they must have less than 200 followers too!). 1. Would you rather have free clothes for the rest of your life or free make up? Beth this is such a toughie for a first question! I feel like such a traitor to beauty bloggers everywhere by saying this, but I would totally pick clothes! I feel like there's so much more to choose from and I get bored of my wardrobe a lot faster than I do of my make up! I love to read. I am a major bookworm and have boxes and boxes of them (quite literally) in my room! My favorite book would be either something by John Green (I finally purchases a paper back of Looking for Alaska today for my shelf!) or Jon Ronson's The Psychopath Test. 3. Who's your favourite band/artist? I get bored of artists easily so I tend too listen to a few at once, at the top of my list at the mo are Mumford and Sons, F.U.N and Of Monsters and Men. I don't have any tattoos but I do have six piercings, three in each ear, all at the bottom. I got my first done when I was ten and then the other two earlier this year. The third one was definitely the most painful! 5. What is one beauty product you couldn't live without? My Collection 2000 Lasting Perfection Concealer, - it had to be didn't it? This is my absolute go to and holy grail drug store product! 6. If you won a million pounds/dollars/etc how would you spend it? I would buy a nice house (complete with a library and spiral stair case, of course!) and a car. The rest would be put into my bank account for when I finish university (more practical than exciting I know). 7. What's the furthest you've been from home? The furthest I've ever been away from home was when I visited Florida (4,554 miles) but the furthest I've ever been on my own would be when I spend ten days in gorgeous Venice (1,080 miles) with my friends! 8. What's your favourite thing about yourself? Physically it's my different coloured eyes. Mentally it has to be my creative side and my flair for writing and design. 9. Would you rather always have to say everything on your mind or never speak again? I started blogging about a month ago because, well I've been wanting to for a while and just lacked the courage, spare time and motivation to start. With my first year at university over and done with it seemed like the perfect time to get started! Sorry if you've already been nominated! I've tried to pick a selection bloggers I follow that have been blogging for at least a month. 3. The all important question: tea or coffee? 4. If you were stranded on a desert island and could only take three things (beauty or other), what would they be? 5. When did you first start using makeup? 6. Do you have any pets, what are their names? 7. If you could have any beauty product delivered to your door right this second, what would it be? 8. Do you prefer summer or autumn/winter polish? 9. What is your favorite colour? 10.What is that one must-have product you own and why? If I haven't already tagged you you could always answer the questions in a tag and post the links below so I can check out your answers!